Tisa L. Silver is an educator, philanthropist, and the award-winning author of The Time Value Of Life , with a passion for inspiring others to become lifelong learners and community servants. 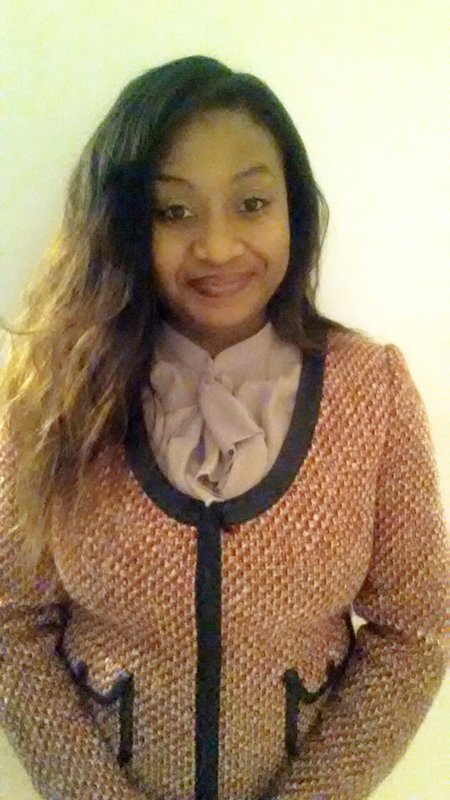 Tisa is the current Associate Director of Financial Education and Wellness at University of Maryland, Baltimore. Tisa Silver: I can think of two obstacles: fear and being ahead of the curve. Fear was more of a factor in the real of my work as an author. We live in a world of "Breaking news." There is pressure to be quick and on the pulse of whatever is happening right now, but for me, the thirst to be first is less important than my personal commitment to producing quality content. I value accuracy too much to rush. I use my name on all of my content, and sacrificing quality can diminish your credibility. As for being ahead of the curve, you will not find too many financial education and wellness professionals on a college campus. When you work in a position that does not have much basis for comparison, you have to prove your value to the organization and the industry. That takes time. Hopefully, other schools and business will jump aboard and formally acknowledge the impact finances have on the well-being of their respective constituents. TS: I knew that regardless of the industry I chose to work in, I wanted to be someone who educated and empowered others. I worked my way through graduate school at the University of Delaware as a research assistant and tutor for finance students. My break came when the chair of the finance department asked if I would like to try teaching. By try, he meant teach about 150 students! At the age of 24, the college experience was still so fresh in my mind that I was able to reach my students in a different way. Teaching at the college level was one of the best ways to combine my passion for education and fascination with finance. TS: When it comes to managing different roles, I don’t think of balance as a permanent state. Each day brings something different. Some days I have balance on other days I don’t, but what I have every day is a clear understanding of my priorities. With those priorities in mind I have to make decisions about which matters deserve my time, energy, and resources. I will keep striving for balance, but I am more concerned with keeping those priorities intact. TS: I have a few people who are mentors and others who I look up to from afar (or Twitter). My parents were (and continue to be) two of the most influential people in my life. They value education, a solid work ethic and compassion for others. Outside of my family and looking into the real of financial education, Deborah Owens, America’s Wealth Coach, is awesome. She graciously shares her wisdom and her platform. I admire her dedication to empowering women to be wise about their finances. I am so thankful for her support and influence. John Hope Bryant, founder of Operation HOPE, is also a great inspiration. In my opinion, he has mastered the art of pooling people and resources together for the cause of lifting others up. TS: Passion for what I do. It can keep you going when you feel like quitting. Good company. A trustworthy inner circle for support and guidance is invaluable. I could not do the things I do completely on my own. TS: There are so many layers to being a BOSS. If I had to sum it up, I would say a BOSS is constantly on the move, progressing toward new personal and professional heights, and lifting up others as she rises. Deida Massey Prior to her 14 years as an A-list Hollywood make-up artist, Deida Massey worked as a paralegal for the Public Guardian's Office of Chicago's Cook County advocating for abused and neglected children. During her time there, she saw a tremendous need to help teenagers with issues of self-worth and esteem-specifically teen girls. Moonlighting as a makeup artist at night and on the weekends; it didn't take her long to trade in her cushy nine-to-five job for a more rewarding career in makeup artistry. With her passion in one hand and purpose in her heart, Deida took a leap of faith in 2002 and headed to Los Angeles, CA. Living in LA, Deida quickly ascended to become one of the most sought after makeup artists in town working on numerous commercials, TV productions, editorials, personal appearances and fashion shows including the prestigious Mercedes Benz Fashion Week in NYC. She was also one of nine artists selected to work as a celebrity makeup artist on Oprah Winfrey's Legends Weekend in 2005. Although her love for makeup led her to the City of Angels, Deida remained focused on the inner call to mentor young girls. 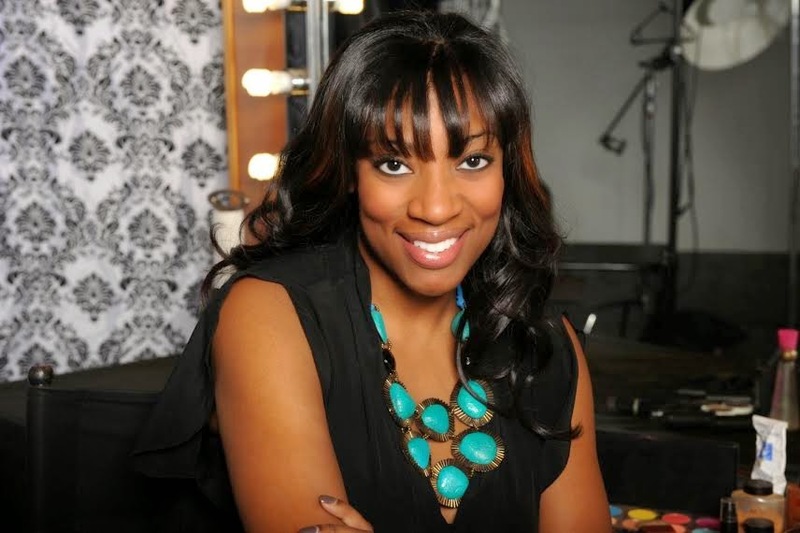 In 2004, she followed that voice and started Reel Beauty, Inc.
Today Deida Massey is the Founder of Reel Beauty, Inc. - a 501 (c) (3) organization that assists at risk urban girls. "We teach them to value themselves and empower them with self-worth, self-esteem and self-confidence so they will be productive citizens within their environment. We do that by offering 14 activity based workshops designed to help these young women resolve the problems they struggle with day to day." Deida realized how detrimental the messages in today's music, culture and media portrayal were. "I wanted to do something to combat all the negativity." Reel Beauty not only made inner city girls feel beautiful and more self-assured, but also equipped them with tools to help them succeed in life. Deida Massey: In beginning starting as a makeup artist was difficult for me because I was working a 9 to 5 at the time and decided to take a leap of faith. So I quit my job, moved to Los Angeles to pursue my passion as a makeup artist. Adjusting from a full-time job to becoming an entrepreneur was difficult but rewarding. I knew I would be fine due to the plan I put in place, but the inevitable is something you can’t plan for. I believe those challenges and obstacles that I faced while pursuing my passion made me into the winner I am today. In addition, the challenge was setting myself apart from everyone as a makeup artist and as The Founder of Reel Beauty, Inc. My challenge was never about competition in makeup or with Reel Beauty. The challenge is always being memorable, catchy and unique. I believe that's how people identify with your brand and that is what staying power looks like. DM: I was inspired to break into the makeup industry because I found it to be adventurous and exciting. I come from a creative background where my father was an artist and my brother was a very skilled artist, but neither pursued a career in it. My initial muse came when I started to do makeup with my friends and they loved the results. I would get compliments and started to get requests for me to do other people. What inspired me started from the adventure and excitement, but most of all it came from wanting to show others how you can build your own business with your gifts and talents GOD gave you? BN: How do you balance your personal or professional life or have you been able to find a balance? DM: I have been able to balance my personal and professional life through bringing order to my day before it starts. As an entrepreneur, my professional life has inevitably been combined with my personal. Whether I’m working on set all day, doing personal appearances etc. somehow I manage to cultivate relationships that become personal. As a makeup artist and CEO of my own non-profit, I must create balance wearing these two hats. Typically, if I’m not on set, I’m mentoring girls inside Chicago Public Schools. There are times when my days are consumed only with my professional life and I am completely fine with it. Again, with balance comes order. BN: Who were some influential people or mentors that helped or encouraged you long the way? DM: I was blessed to have a great support system and mentors. When I started assisting at FORD MODELS in 2000 my mentor became Marcus Geeter. He was absolutely heaven sent. Marcus taught me about the business and taught me how to apply makeup. I would watch him and follow him to photo shoots to learn the dynamics of the business. On the weekends, I would go to his home bring a model and he would give me private lessons. There were others I trained under: Triphena Johnson who is an amazing artist. Later in my career, I met and worked with Reggie Wells. I learned some valuable lessons and tips on the application of make-up while working with him as well. DM: One of my “must-haves” to keep my business and career going strong is perseverance. You have to keep pushing. You have to get outside your comfort-zone and stay relevant. DM: My definition of a BOSS is a person who understands their purpose and pursues it. A BOSS is person who is a visionary, innovator and game-changer. 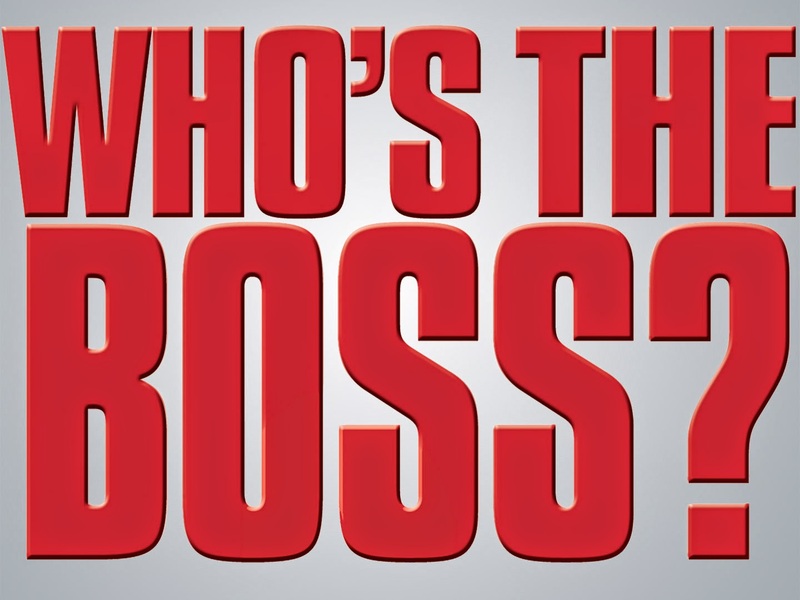 That BOSS is me. Chimere Gather has over 15 years of experience working in banking, finance, legal and various accounting roles. She has an extensive background in credit management, financial consulting and more recently, taxation. She assist many small businesses and individuals by providing them tools to help better balance their checkbooks as well as their dealings with governmental agencies, the banking industry and their credit ratings. Chimere is the president of Gather Enterprises; she is also currently employed by a well respected Accounting firm in the northern suburbs of Chicago. When Chimere is not working, she spends a lot of time with her children. A few of her favorite hobbies are interior decorating, traveling and hiking. Chimere Gather: One of the biggest obstacles I faced in starting my career did not know what I wanted to do. I knew that I liked accounting, but there were so many areas in accounting and it took me time and doing a lot of transitioning to determine what motivated me most. I started out working in a processing department at a bank and from there moved to various positions until I eventually became a Credit and Collections Manager to later becoming an Accountant. CG: I have always been a numbers person. Anytime I heard someone talking about money or if I saw a complicated spreadsheet, instead of taking a step back; I was drawn to finding a solution. While some of my peers struggled in this area, it was second nature to me. CG: Since I’ve completed my Master’s Degree, I would say that I have more of a balance than what I used to. But, presently I am still working toward my CPA license so there are some days/weeks where I have very little time for anything outside of the office and books but there are other weeks that I find time to catch a movie with friends, do something fun with my children or share a mini getaway with my family. Working for an Accounting firm, tax season almost makes a personal life non-existent. But, that is only a few months out of the year and working for a firm such as the one that I do; the rest of the year you have as much flexibility as you want (along with weekly massages as a perk for the added stress). CG:“Don’t have just a J.O.B.”! J.O.B. means Just Over Broke!! There is a huge difference between having a JOB and having a career. A JOB is something that just pays the bills, but a career is rewarding. “Do what you love and you’ll never have to work a day in your life”! CG: I used to work for a manufacturing company and my direct boss which was the CFO, always encouraged me. It didn't matter the day or the hour, he’d help me with assignments that I struggled with in class and always talked to me about further bettering myself. In spite of me already being in management, he’d always tell me “the buck doesn't stop here, get at it Chimere”. To this day he and I still maintain a very good relationship. CG: Two must haves to keep my business as well as my employment going strong is being a great people person and staying ahead of the ball! People need to know that they can trust you, that you’ll always have the answers to their questions or either can put them in a good direction to have their questions answered. They must feel comfortable with sharing many of their most private and confidential financial matters with you. CG: A BOSS is a hard working individual! One that understands that success comes with a price tag and one that is willing and able to achieve it! The thing about women who run things is that sometimes we can think we run EVERYthing. Now how do you know when you've stepped out of your business and into the office space that belongs to God or others? Anytime we are running things that aren't ours to run we will feel overwhelmed because we aren't built to run God’s business or other peoples business. Trying to predict the outcome of your relationship if you’re single is God’s business. Trying to take up slack for a sibling is your siblings business. Drop the weight of thinking you need to run EVERYthing and run what’s yours and watch other weight drop as well!